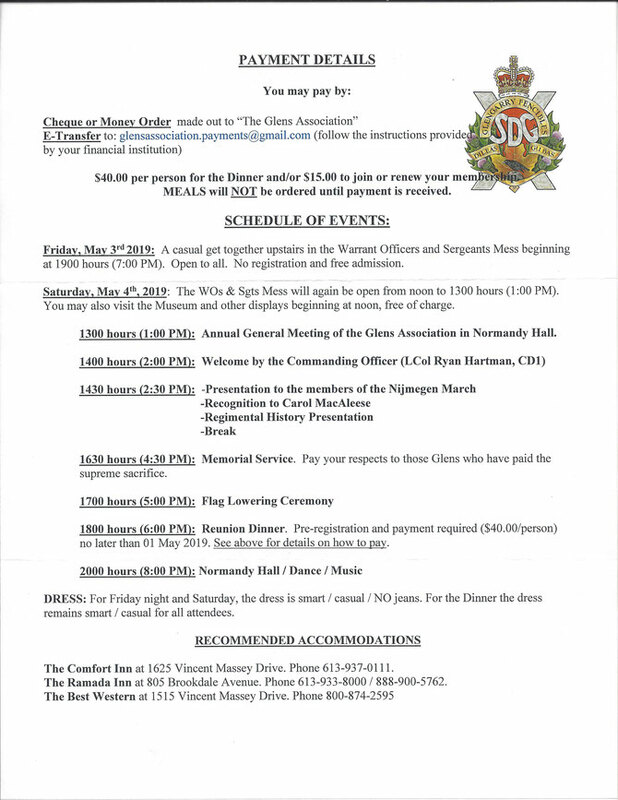 2018 Glens' Reunion - Website of Glens' Association! 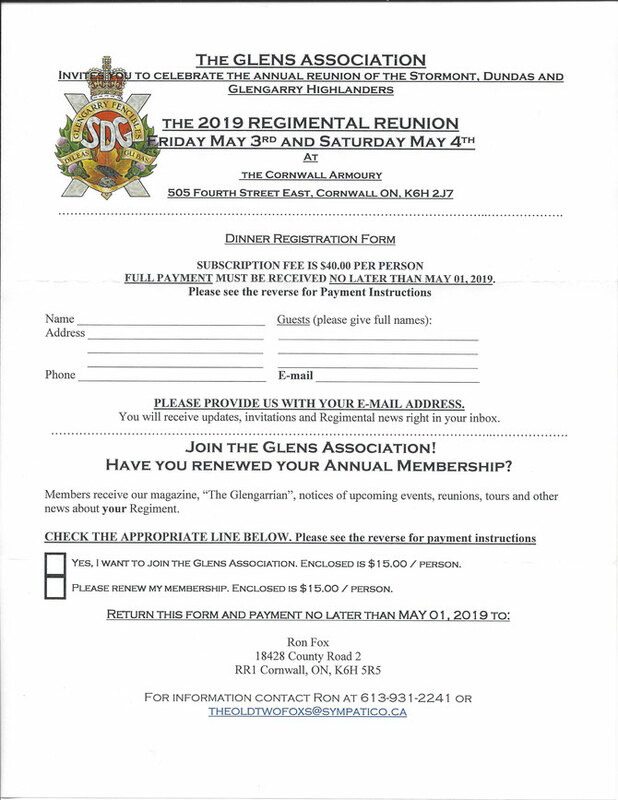 The 2019 Glens' Reunion was held on Friday evening May 3rd and Saturday, May 4th. Below is the invitation for the Reunion. 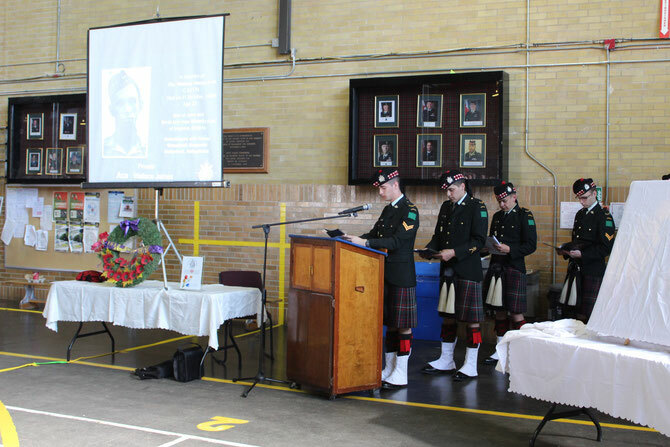 The Stormont, Dundas & Glengarry Highlanders celebrated the 150th Anniversary of their regimental heritage in 2018. Events and activities occurred throughout the year. The Reunion's drill floor program was a major anniversary event. In 1948, members of the 1st (Regular) Battalion, SD&G Highlanders held their first Reunion with about 500 of the WW2 veterans attending. These veterans continued to have annual Reunions until 2007.At that time, the next generation known as the Glens’ Association took over organizing Reunions. At each of the Glens’ Reunion, there is a memorial service that includes a slide show (see Special Events / Annual Reunion) with today’s young soldiers reading over 300 names of those who have lost their lives in service to Canada from World War 2, Korea, Afghanistan to those who have recently died in service. 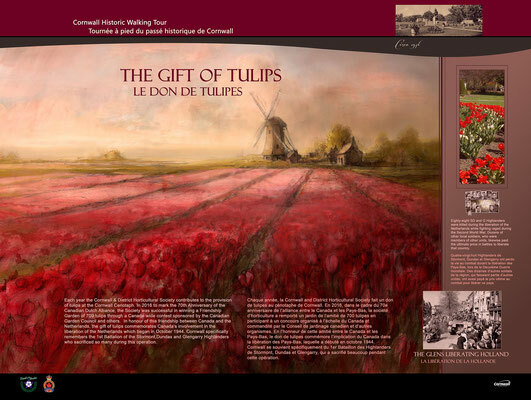 The slide show has been developed by Gregory Pollard who is the nephew of Lance Corporal George Pollard who was one of the 20 Canadians who were murdered by Kurt Meyer’s Hitler Youth in the garden of the Abbaye D’Ardennes, Normandy. The body of Lance Corporal Pollard has never been found. He is remembered at the Bayeaux Memorial. During World War 2, two battalions existed – the 1st on active service and 2nd on reserve service. A 3rd Battalion served as part of the World War 2 occupation force. Over 3,000 men served in the 1st (Active) Battalion of whom 323 died in service. Some 3,300 men served in 2nd (Reserve) Battalion. Of those nearly 1800 would go on to active service. The majority served in the Army. Serving in the Royal Canadian Navy Volunteer Reserve were 64 and in the Royal Canadian Air Force were 264 of whom 24 died in service. One man of the 3rd (Occupation) Battalion lost his life. This Reunion coincided with the date during which people in The Netherlands commemorate the end of World War 2 in their country. The Glens have a special connection with a community near Zutphen. People on visits in 2005, 2008, 2009, and 2012 received special treatment by the residents. On April 4, 1945, the 1st Battalion assaulted the enemy in the small community of Leesten. Eleven glens were killed that day. Leesten has been rebuilt as a new subdivision and during its construction in 2005, ten street and one bridge were named after the eleven casualties. Duplicates of the signs are held in Regimental Museum at the Cornwall Armoury. These signs were a focal point of the Reunion. The Reverend Hendrick Dykman, a retired United Church of Canada, living in Guelph was a special guest at this Reunion. He was raised in nearby Warnsweld and witnessed the battle. He played a major role in the creation of the memorials in the area remembering the SD&G Highlanders. Just before the Reunion, a couple from Cobourg, Ontario through the Mayor of Cobourg connected with the Glens’ Association. They were offering a print approximately 4 feet by 5 feet of an artist’s memories of the Battle of Leesten. 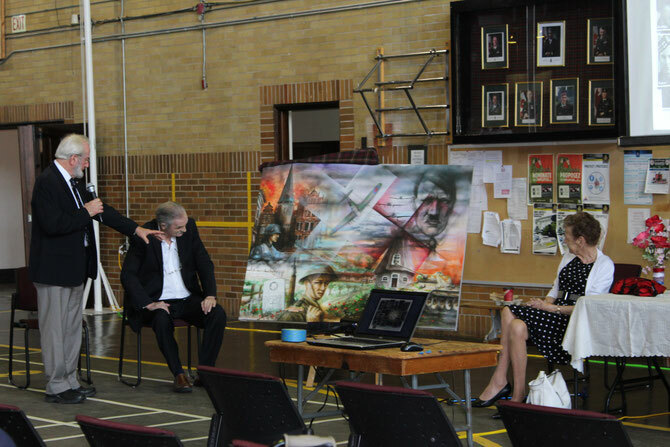 Mr and Mrs E. Barringhan were at the Reunion to present their print to the Regimental Foundation. Reverend Dykman knew the artist and gave the history of the print. The print is hung within the Cornwall Armoury. A project as a part of the 150th Anniversary was the publication of the Regiment’s history from 1783 to 2017 by Brigadier General (Retired) William J. Patterson CD, OMM, UE. The first history of the Regiment was published by Lieutenant Colonel W. Boss in 1952. A second edition was updated by Brigadier General Patterson in 1995. Brigadier General Patterson unveiled the 3rd edition at the Reunion. This history by General Patterson is one of a number that he has published. 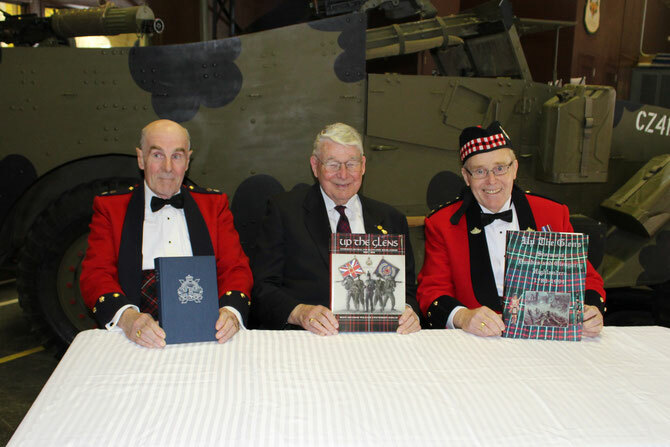 Left to right - Honorary Lieutenant Colonel John Denner holding the Boss Edition, Brigadier William Patterson with the 3rd Edition, and Honorary Colonel James Brownell displaying the 2nd Edition. Copies of the 3rd Edition can be purchased from the Glens' Kit Shop. Check it out on this website. 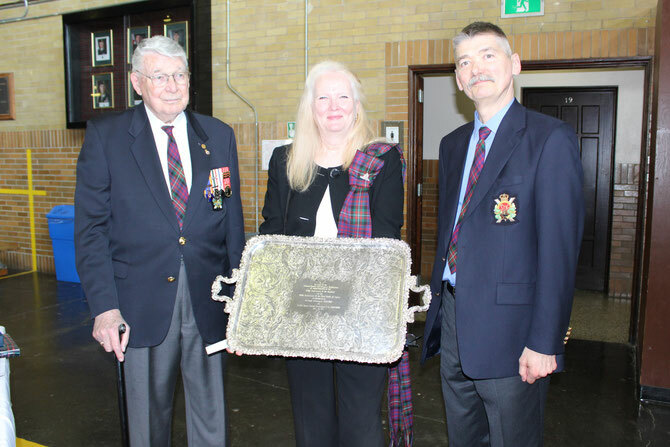 A silver tray was presented by Ms. Anne Wallner, Ottawa, in memory of her father Doctor James Pendergast and her great uncle Lieutenant Francis Thomas Pendergast. Doctor Pendergast’s military career started as a member of the 1st Battalion in which he rose to the rank of sergeant. He returned to Canada for officer training with a transfer to the artillery. In peacetime, he served in the Royal Canadian Artillery rising to the rank of lieutenant colonel. Ms. Wallner’s great uncle was a member of the 59th Battalion, the 154th Battalion, and the 21st Overseas Battalion, Canadian Expeditionary Force. Lieutenant Pendergast was killed at Passchendaele. He is remembered on the Cornwall Cenotaph. Left to right, Brigadier General Patterson who spoke briefly about Lieutenant Colonel Pendergast, Ms. Anne Wallner, and Lieutenant Colonel Rob Duda, Chair of the Regiment's Foundation. 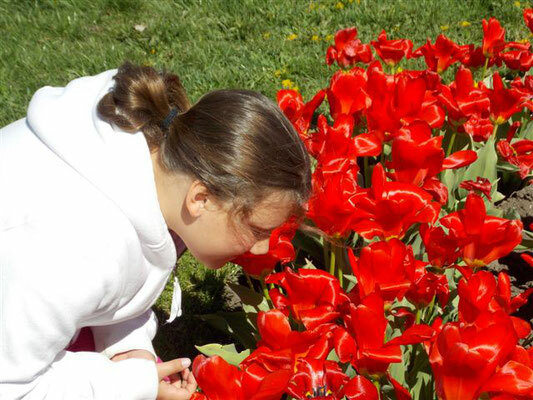 In 2015, the Cornwall & District Horticultural Society was awarded the honour of being one of nearly 140 Dutch-Friendship Tulip Gardens. 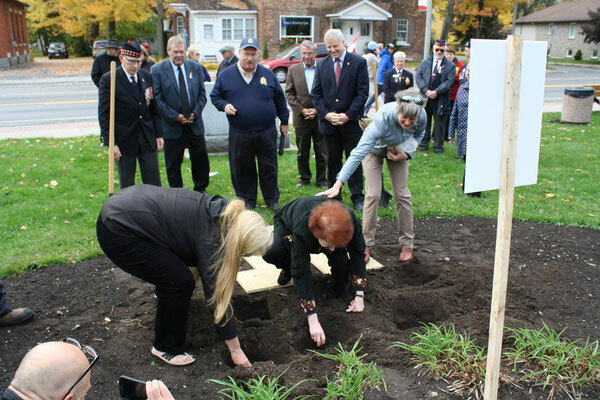 This became a project that paid honour to nearly 100 members of the SD&G Highlanders who lost their lives in the liberation of The Netherlands. 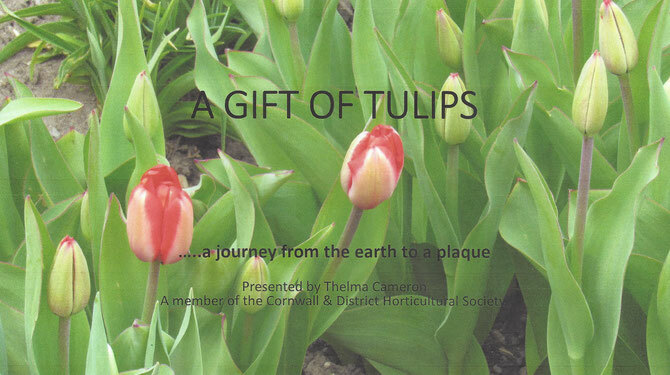 Members of the Glens’ Association participated in ceremonies for the planting and the blooming of the tulips. 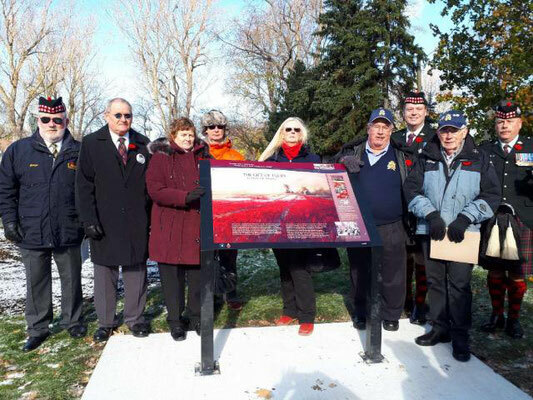 In 2017, the City of Cornwall and the Cornwall Legion Branch funded a plaque at the Cornwall Memorial Park as part of Cornwall’s Historic Walking tour. Heather Cameron who was involved with the evolution of the project provided a presentation at the Reunion so that more Glens could become aware of this project that is now a permanent memorial in Cornwall to the SD&G Highlanders. 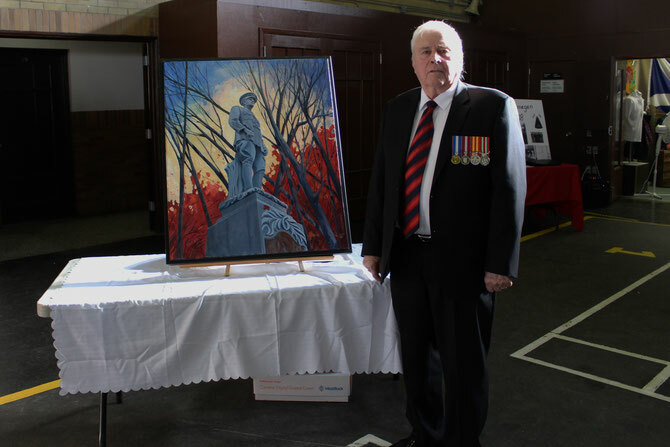 On 30 April 2018, a painting of the Morewood Memorial was unveiled at Morewood RA Centre. The figure on the memorial is in remembrance of Captain Earnest John Glasgow. He was a member of the 59th Stormont and Glengarry Battalion, the 154th Stormont, Dundas & Glengarry Overseas Battalion, and the 21st Overseas Battalion. He was wounded in France and died of his wounds. His name and eight other members of the 154th Battalion from this small Dundas County hamlet are listed on the memorial. The Regimental Colour of the Stormont, Dundas & Glengarry Highlanders carry the battle honours of the battles that the men of the 154th were involved. The originator of the painting called “A Fallen Leaf” was Carolyn Thompson Goddard, our former Regimental Librarian. Carolyn along with Bill Smirle, chairman of the Morewood Memorial Committee (above) displayed the painting as part of the Reunion’s program. A framed print of the painting hangs in the Regimental Museum.